So, here goes... my initial review on the new Peroni gluten-free beer (and Carluccio's gluten-free pasta)! Ok... so yes, it tasted heavenly good. Anyone who has tried Peroni will know what I mean... because it's really, amazingly, not that different at all! It really does taste just like the description above; I would only have to add that it is very satisfying going down - just the right amount of thirst-quenching when taken with food. And it really brings a smile to the lips. "Practically identical to the taste of regular Peroni, many of which I've enjoyed alongside a nice pizza in various Italian pizzerias. :)"
In the past, I have personally found some of the gluten free beer to be too sweet, as if drinking lemonade - but this beer just really feels so right, with just the right amount of bitterness. I actually find the flavour so refreshing that it could go well with any type of food. 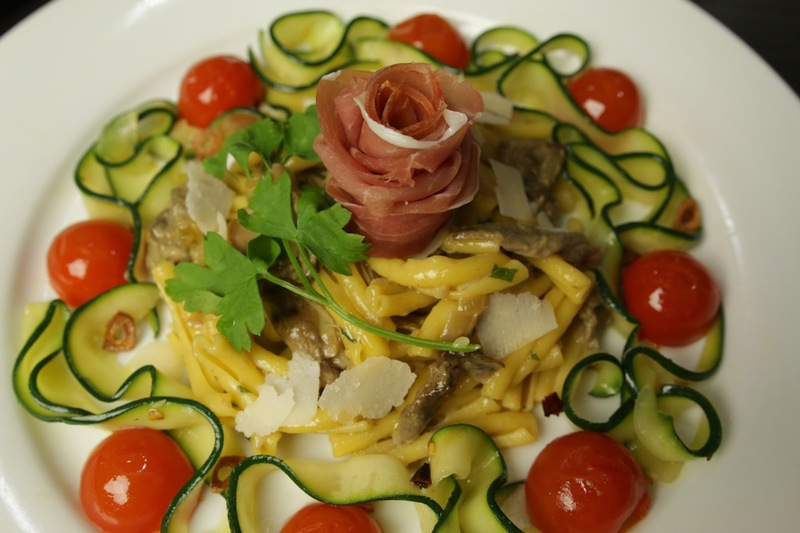 My preference would be to have it with aglio olio e peperoncino - but anything mild and creamy would really match with it, just as well. 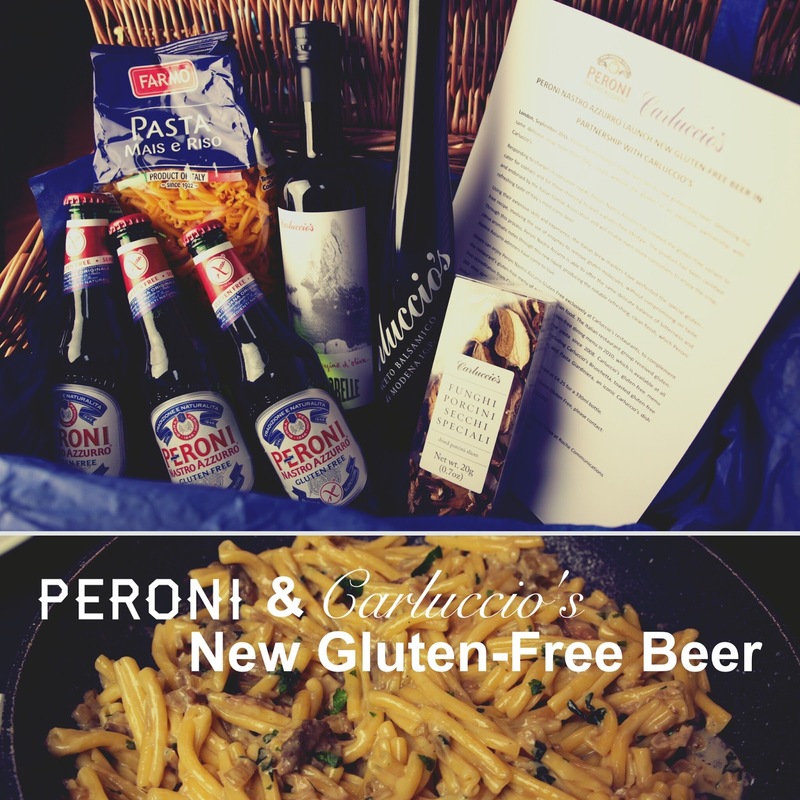 The great news is that this Peroni GF beer is now available at Caluccio's restaurants in the UK - I've also heard that you will be able to get them from TESCO soon! :) It's going to be priced at £4.25/330ml bottle, which is pretty much what I would expect for a GF beer of premium quality. I also think it's superb that the Italian coeliac association has approved this product as being safe for coeliacs. The bad news... currently we cannot easily purchase it outside of the UK/Italy. Fingers crossed that it will become available in more territories soon! 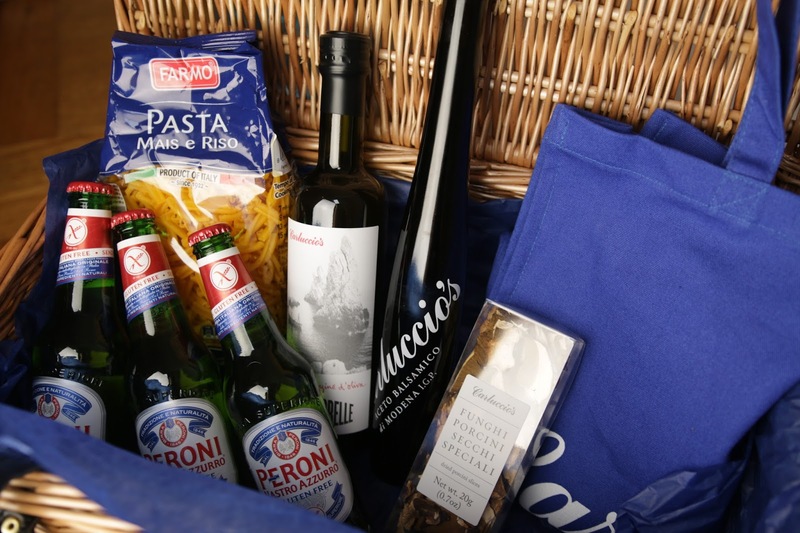 ...As for Carluccio's pasta? 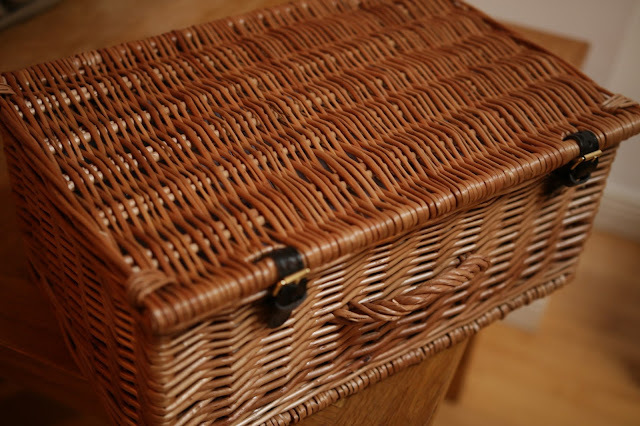 Also delicious, with such a lovely texture. Straight out of the pan, very reminiscent to my palette of eating at a good Italian restaurant - which just goes to show that the quality of ingredients counts for so much. 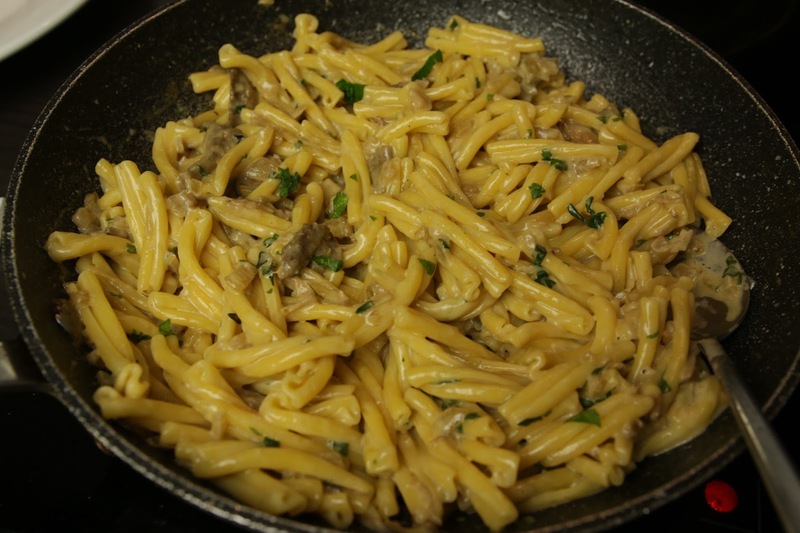 And, since I also received some of Carluccio's dried porcini slices, I decided to make this pasta with a porcini mushroom cream sauce, which finished off the plate wonderfully. 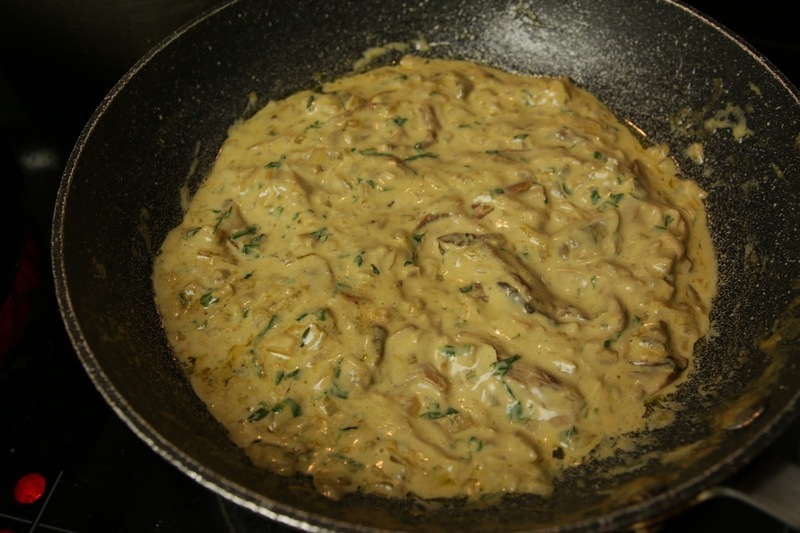 (If interested, you can find the recipe that I followed here: http://emerils.com/124506/fettuccine-porcini-mushroom-cream-sauce). In this recipe, the reserved mushroom liquid and fresh thyme & parsley really made the sauce complete. the combination of the two brought us to the streets of Italy. 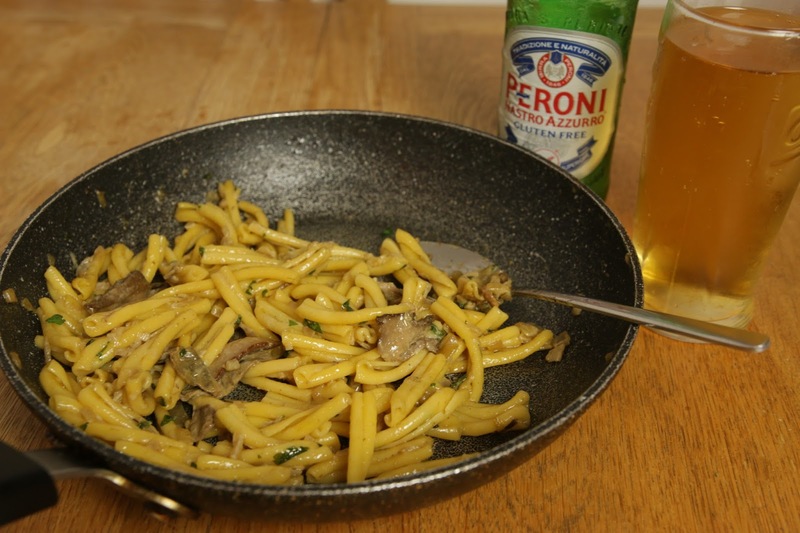 Overall, it was such a great experience trying out this new gluten-free beer and pasta combination that we cannot wait to go to Carluccio's ourselves to have another bottle alongside a gluten-free meal. I hope you have enjoyed this post, do let me know what you think when you try out this new beer..! Also, perhaps you know of any other brands of gluten-free beer that you enjoy to drink? If so, then I look forward to hearing about them!